Your niece/cousin/friend’s daughter (or somebody in your family) is getting married and her mehndi night is just a few days away? Mehndi is so much fun as it marks the starting of all the celebrations for the wedding and is all about music, dance and laughter. 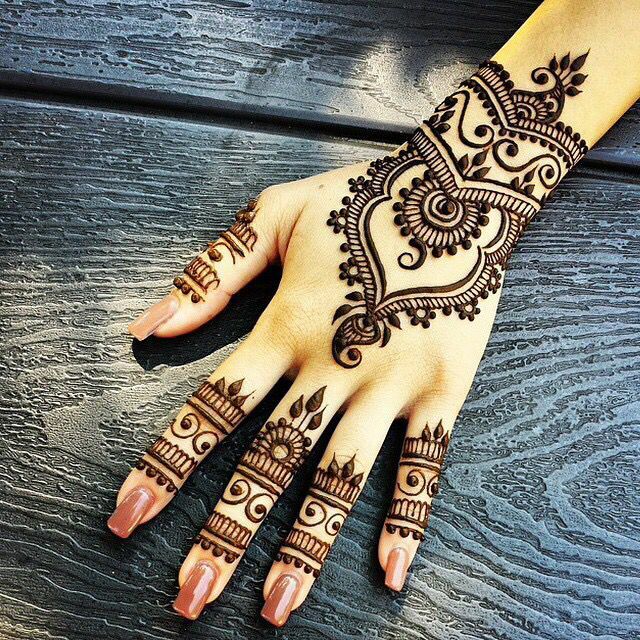 Mehndi ceremony is an integral part of a Hindu/Muslim wedding. The aromatic herb paste is applied on hands and feet in an elaborate fashion and there are plenty of designs and styles to choose from. However, the core significance of applying mehndi (just a few days before the wedding) actually goes back to a century old belief. Over and above the auspicious stain it leaves behind on the skin, mehndi is also quite a strong medicinal herb. Because of all the last minute running around and little rest, weddings would get stressful. So, to reduce all the tension and headaches related to the fatigue, this beautiful paste (with a cooling effect) was applied and that is how the custom of ‘Mehndi Night’ came into existence. 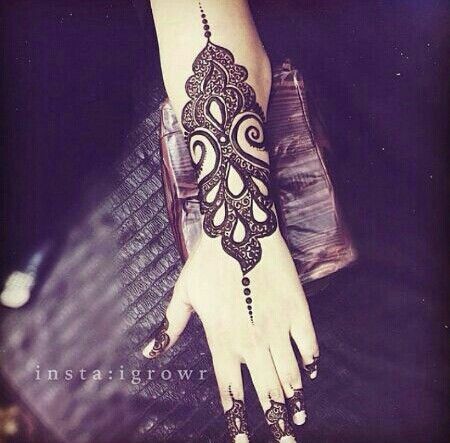 Free flowing: Since, the design usually comprises of a vine, that may start from the finger-tip and end at the corner of the wrist, hence, this one design is less intricate. Looks neater too! What makes this design really spectacular is the way it stretches all over the hand, softly touching the palm, wrists and even fingers. The dots are also used to give the pattern a more subtle look. 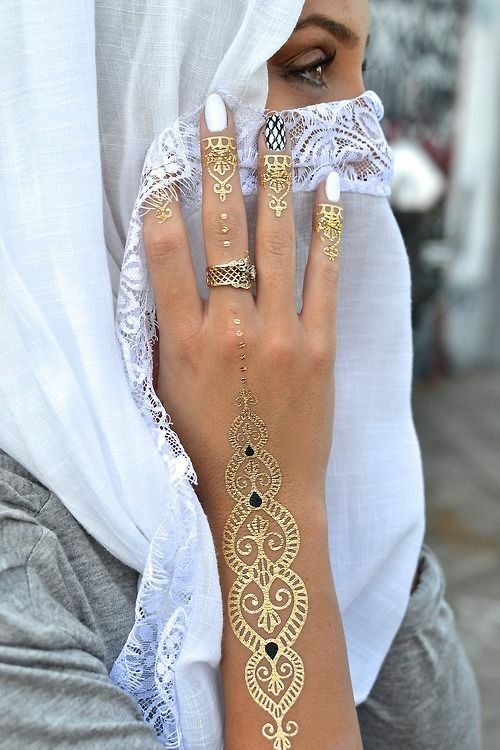 Scope of accessorizing: As mentioned earlier that since, arabic mehndi design is pretty spaced out, therefore, there is a lot of scope of decorating it further. Just like we use certain embellishments (Swarovski, stones and radium stickers) for nail art, likewise, the technique can also be applied here. Besides, one can also go for colors, for instance green on the leaves and perhaps pink on the flower. 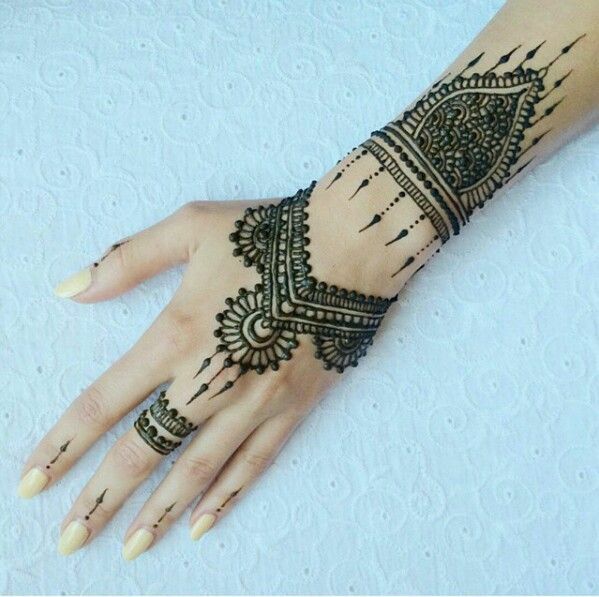 Arabic mehndi designs are ideal for the bride’s relatives, as the design is not too time-consuming, can be customized to a great extent (to suit one’s need), can be simple or quirky (depending upon on the design chosen and the time you have in hand). They are pretty much in vogue too! So, all you cousins and aunts out there! Get ready to look stunningly stylish on the wedding of your sweet princess!